Mo Tow seamlessly fuses musical tradition with rock and R&B, creating a momentum that succeeds in reaching the most critical audience. The band was created by pianist Christos Yerolatsitis and bassist Stathis Elio in an ongoing search of fresh and original ways to approach modern jazz and improvised music. Through their own compositions and arrangements of jazz standards they focus on making a statement about sound, energy and flow. For Mo Tow Trio they work with the drummer Robin van Rhijn that with his versatile and creative playing completes the sound of the band. 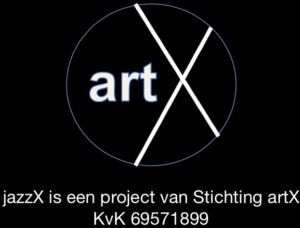 Preview op You Tube: https://youtu.be/411KeO-K3hE. 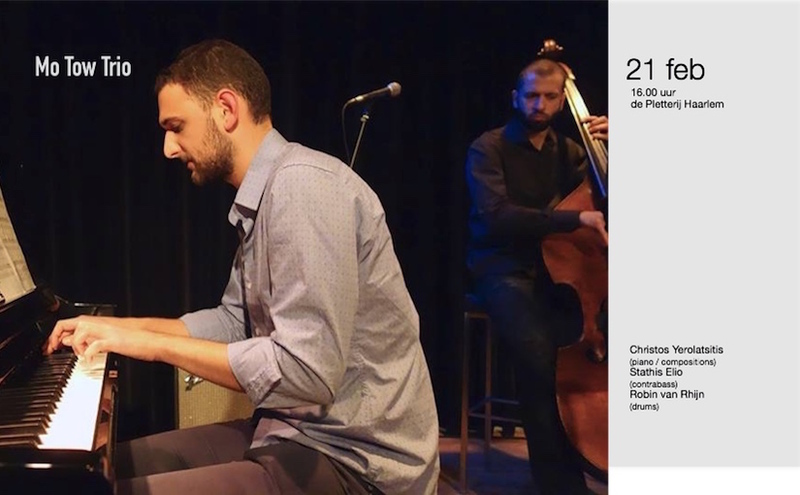 Born in 1989, Christos Yerolatsitis is a jazz pianist from Cyprus. He started to play the piano at the age of seven. After several years of classical training he graduated from the Royal Academy of Music in 2007 with a distinction. Afterwards he did his service in the army, where he served in the music band. That was the point when he started playing with many important figures of the Cypriot jazz scene, like Charis Ioannou, Ioannis Vafeas, Irenaeos Koulouras and Gabriel Karapatakis. Soon enough, he joined the “Cyprus Jazz Big Band”, where he was the main pianist. At the same time, he was also having jazz theory and improvisation lessons with his teacher and mentor, Ioannis Savidis. From 2009-2013 he followed the bachelor program at the Royal Conservatoire in The Hague, where he studied with pianists Juraj Stanic, Jasper Soffers and Eric Gieben, and classical piano with Bert Mooiman. From 2013 until 2015 he continued his studies in the jazz master program of the Conservatory of Amsterdam with pianists Karel Boehlee and Harmen Franje. During his six years in The Netherlands, Christos has shared the stage with some important jazz musicians of the Dutch scene, such as Benjamin Herman, John Ruocco and Simon Rigter.He has attended workshops of Brad Mehldau, Jason Moran, Branford Marsalis, Enrico Pieranunzi, Kurt Rosenwinkel, Jeff Ballard, Avishai Cohen (trumpeter), Jason Lindner, Nasheet Waits, Aaron Parks, Barry Harris, and more. Christos Yerolatsitis performs on a regular basis in several projects in and around the Netherlands both as a sideman and leader. He has played in remarkable jazz clubs, such as “Bimhuis” and “Nova Jazz Cava”, as well as in various festivals like “Saulkrasti Jazz Festival” (Latvia) and “Aglanjazz Festival” (Cyprus).